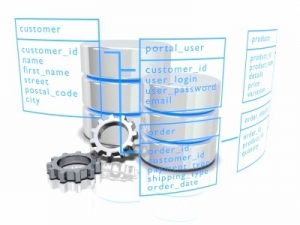 Database applications have become a key prerequisite to the successful operation of today’s organizations. A robust database systematically tested against all consideration is a must and modern organization can barely afford to ignore this. QALogic software testing company in India has imprinted out a niche in platform testing, Database testing, and QA services that promise reliable performance and correctness of database applications. Our experience and across platform expertise in database testing offer cost-effective support for complete debugging of store procedure and event-driven screening and validation of state and output aimed at effective maintenance and bug free performance of applications developed for data generation and integration. QALogic has its own method and expertise in database testing and QA services that offer reliable and complete quality check of customers’ DB loaded with important stored procedures, crucial functions, and critical triggers. Our team of experts and proven testing process make sure clients get the most effective results at a small investment and validate correctness and constant performance of their DB applications across all platforms. We are one of the best software testing companies in India. We offer end-to-end offshore database testing services with strong assurance on DB validity and integrity. Database analysis, information gathering and preview of DB testing conditions and objectives. Test strategy formulation and identification of tools based on client requirements. Debugging of SP (stored procedure). Risk evaluation and Defect analysis.